To help you with your boating holiday on the Shannon River in Ireland, we've created an interactive map of all the towns and villages on the Shannon River as well as the boat hire companies. The get more information on the towns and villages that you can visit on your hire boat, click on the name of the town. There's also information on the boat hire companies and lists of hire boats available from each - click on a company name to get more information. 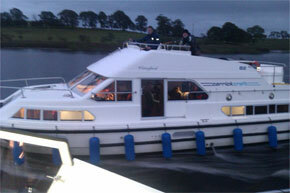 Had a ball thanks to all involved..
Book cruise of 7 nights or more with Le Boat and get 15% off selected boats. Book a cruise of 7 nights or more on the Clipper or Magnifique and get 25% off.